The last few years I was employed at Rocketdyne, my job – which I essentially created – was to research social media for the purpose of bringing it inside the firewall for internal communication and collaboration. As a result, I became both well educated in the use of numerous apps and platforms, and excited about the possibilities they represented. When the Space Shuttle program was nearing it’s end, everyone over sixty was offered an early severance package. After some research I decided to accept the offer, which I characterized as a “gold-leafed handshake.” I was pretty excited about going out on my own and offering social media marketing services to local small businesses. Unfortunately, very few people knew what I was talking about and most businesses remained content to spend $200/month on a Yellow Pages ad that likely got thrown in a recycle bin the moment it arrived. I’m not entirely certain, but it does seem like things have changed and many more businesses understand the value in promoting via Facebook, Twitter, Pinterest, etc. As a result in finding it easier to get clients to help and supplement my retirement income. This year promises to be very interesting. Are You, or Should You be, Shopping Local? There are several commercial “movements” gaining steam nowadays expressing the desire of smaller communities to get residents spending more of their money at local, usually small, businesses. Small Business Saturday’s Facebook page has almost 3 Million “Likes”. My city of Simi Valley has spent a fair amount of money promoting the concept. 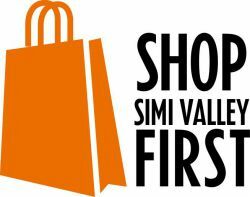 Locally it’s called “Shop Simi Valley First“. Unfortunately, the money that was used to create the website and other marketing efforts to support it has now dried up, possibly never to return. On the bright side, some of our citizens created a Facebook page for them and it’s approaching 1K “Likes”. It might increase now that the “official” effort is unfunded. I think this is a good thing and here’s why. For the last year or so I have been gently pushing the city, and local small businesses, to recognize the power available to them in the use of social media to market themselves, as well as to create connections that just haven’t been possible in the past. I think, when it comes to marketing – especially in terms of encouraging local residents to patronize small businesses in our city – the connectivity and mutual support provided by services like Facebook, Twitter, and Yelp may prove a decisive factor in reasonable, if not substantial, growth. As I see it, local small businesses can use these services not merely to promote themselves individually but, as long as there’s no conflict of interest, they can also promote each other. Here’s what I imagine happening. Let’s say you have a restaurant that serves a reasonably upscale clientele. You know there is a certain demographic that’s not terribly likely to frequent your business. Maybe they’ll patronize your place on special occasions, but not regularly. Would it be a bad thing to give props to other eating establishments more desirable or affordable to those people? Would it threaten your business or might it not actually result in your being recognized as more friendly and approachable? I’m betting the latter is more likely. Perhaps you own a clothing store, a dry cleaners, or you’re a Dentist or other professional or service provider. I see no reason why you can’t agree with other businesses to post on each others’ Facebook pages once in a while, sharing what you have to offer or special deals you’re running at the time. Frankly, I haven’t worked out all the details in my head yet. I’ve tried to work with local businesses and the City to encourage this type of practice using social media but, much like my experience at Pratt & Whitney Rocketdyne, I’ve met a lot of inertia and resistance to change, even in the face of impending closure or bankruptcy. Part of it is a lack of understanding and part of it is a lack of resources, but the result is the same. Nothing much is happening. What I envision happening is essentially two-fold. The first thing is that participating businesses benefit from the following of the other businesses on whose Facebook pages they promote themselves. This increases the likelihood of their being noticed by a larger group of residents. Secondly, it also increases the chances people in outlying areas will become aware of local businesses, thereby increasing the possibility people from neighboring cities may drive on over and patronize our local businesses a bit more frequently. Does this make sense to you? What do you think about promoting local small business and how well do you think the use of social media platforms like Facebook, Twitter, and Yelp can increase awareness of certain types of businesses? I’d sure like to see a more coordinated, concerted effort at making it happen. A while back I wrote about the dilemma I faced when I first realized my Facebook “friends” consisted of numerous constituencies, and my concern that speaking frankly to one may unwittingly offend or alienate some from another. I also mentioned that, despite this initial fear, I quickly resolved it in favor of just being myself and not worrying too much about it. As part of my decision to just “let it all hang loose” and be myself, I have increasingly shared articles, pictures, etc. from some of the political sites I either frequent or that like-minded friends have shared with me. As it happens, I generally characterize my political leaning as so far to the left I’m almost a Libertarian (mind you, emphatically not one). I have also responded to some posts from people with whom I don’t exactly agree, telling them politely of my problems with their positions. Most of these conversations have been quite pleasant; spirited debates over policy and principle. Several times someone has actually commented on how they were pleased with the civility of the thread and its participants. Is Useful Political Discourse Possible? So, what I’m beginning to wonder is if this is, indeed, a new phenomena that may turn out to be useful and healthy for political discourse. If you have a fair amount of friends there’s a substantial chance they will represent numerous viewpoints and positions on the important issues facing us. Might not we be able to understand each other better and, consequently, move away from the precipice of irreconcilable differences we seem to be teetering on lately? I have to admit there is a bit of a dark side to this as well. Two things have happened to me that I find a bit chilling. The first was a friendly “suggestion” I received that I might want to tone it down a bit when discussing the Occupy movement and the politics and economics behind it. The impact this might have on my standing in the business community was the implication, and its seriousness did not go unnoticed by me. The second is related, but needs a bit of background. I live in a relatively insular city – Simi Valley, CA – home of the Ronald Reagan Presidential Library and Museum. The City leaders are, for the most part, far more conservative than I am (who isn’t?) and I have become Facebook friends with a lot of them, including the Mayor, members of the local Chamber of Commerce, and at least one City Council member. Being a strong proponent of the right of free speech, I have spoken my mind rather openly; at least on Facebook. I don’t get into too many political discussions when doing business and I am a big supporter of local small business and wish to actively contribute to making our local economy strong and vibrant. Last night I realized the City Council member had “unfriended” me, presumably due to a conversation I had with a couple of his friends. As I recall, it was one that received a post of praise for its tenor and the level of intellect involved. I do recall, though, I was very adamant in pointing out what I saw as fallacious arguments based on incomplete or incorrect knowledge. Frankly, I’d like to hear of anyone having a really fruitful discussion about the merits of Dialectical Materialism with a rabid anti-Communist. In my experience, the philosophy behind Marxism is little known here in these enlightened United States, and it’s very hard to receive any respect from someone who is certain of the correctness of their knowledge and the evilness of yours. So I’m also wondering . . . despite my essentially being out of the job market and, therefore, not having to worry about alienating a potential employer, do I now have to censor myself politically lest I “upset” a city leader and risk throwing a roadblock in my meager, but important, efforts at making Simi Valley a better place to live? I don’t ask that people agree with me; merely that they respect my position and – especially – my desire to do what’s right for the community as I see it . . . just as I respect their beliefs and integrity. I really don’t care for revisiting this whole dilemma around what’s appropriate when it involves the core issues of our lives and livelihoods. As well, I’m very disappointed this person decided to unfriend me. I believe we have more in common than we differ on. I also wanted to keep up with what he was doing as a Councilperson, as he uses Facebook to post from various events he is involved with. It seems I’ve been cut off from a useful, viable channel to the goings on of one of my city’s leaders and I’m still not sure how I feel about it. How do you feel about this? So . . . I haven’t written much lately. I had been writing about things I believe will be helpful to the people and organizations I’m beginning to work with to build their businesses in these trying times. This has been, however, a period of transition for me and sometimes I feel the need to concentrate on what I’m doing, as well as on my current clients and others who have expressed an interest in using my services. One of those services is not yet writing a blog; at least not this one. The last few weeks have been quite interesting for me. I’ve been working in earnest with two larger clients, both of whom require a lot of attention and even more learning on my part. They are helping me continue my journey from the corporate world to the world of small business. The differences are stark and, sometimes, very challenging to deal with competently. Frightening is a word that comes to mind some times as well. I live in a comparatively small town. Simi Valley has a population – according to the last census – of nearly 125,000 people. Not tiny by a long shot, but pretty small compared to its neighbor, Los Angeles. Everybody doesn’t know everybody, but it can seem that way at times. It took a while, but I finally settled on a business model I though made sense and, slowly but surely, it seems to be working out. The model is simple. Provide social media marketing coaching for small businesses. The model may be simple, but I’m discovering the execution of that model is fraught with difficulty. I think there are two things that make selling my services so hard. The first has to do with the lack of understanding – and misunderstanding – of the role social media plays in marketing one’s products or services; the second is tied to the economics of very small businesses and the current state of the economy. I am addressing the former in several different ways, but the latter is something I have little control over. What’s both interesting and frustrating is that various surveys are showing greater and greater acceptance of social media within large organizations, but it doesn’t seem to be translating into the same interest and use by small businesses. For instance, I am working with a small development company/landlord that has approximately 30 retail tenants. 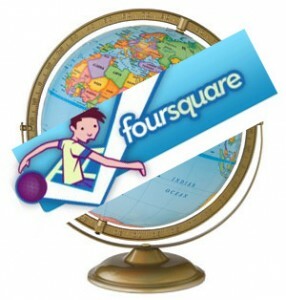 All of these businesses could benefit from the use of social media to market themselves. They are a combination of restaurants, retail shops, service organizations, and professionals – each with slightly different but closely related needs when it comes to marketing. The landlord is very supportive of the tenants, always looking for ways to increase traffic and visibility of their businesses. They’ve even offered to underwrite some of my services, and I’ve endeavored to offer a package that would be both useful and quite affordable. Regardless, it feels like pulling teeth to get most of these businesses to take advantage of either the services available to them or the coaching and analysis I can offer in their proper use. This is an ongoing battle I’m not willing to forsake at this time, as I am committed to seeing my little town weather this economic storm and, if at all possible, even thrive. I’m working on different methods to help and am hopeful that some combination of offers will allow me to be both useful and modestly profitable. In addition, I hope to share more and more of what I’m discovering as I travel this new road. Stay tuned. Are Marie Callender’s & Applebee’s Providing Us Object Lessons? Recently, our local (here in Simi Valley, CA) Marie Callender’s restaurant – a staple of the community for at least a couple of decades – was shut down as part of the recently merged (with Memphis based Perkins) company’s bankruptcy. I belong to a business network that has met there for most of the time they’ve been in business, though I’ve only been a member for less than a year. Still, having to eat breakfast there once a week was a bit of a trying experience, as the food was a couple taste buds short of mediocre. The business network has a system of points one can earn for providing “tips”, which can run the gamut from a couple thousand dollar repair to your vehicle or home or eating a meal at a member’s (which Marie Callenders was) establishment. It’s a system that just invites gaming (in the worst sense of the word), inasmuch as each tip carries the same weight or value. Needless to say, many of the members found themselves eating there a couple of times a week. I never could bring myself to do so. As part of my membership, I offered to provide a couple of free hours of social media marketing coaching and to see to it that each member had access to those services that promised to help their business out. Very few of them took me up on it; probably because most of these guys are almost as old as I am :). Marie Callenders was one of those businesses I struggled valiantly to see the efficacy of at least paying attention to what was being said about them online, especially the reviews that were being written on Yelp. They wouldn’t pay attention. My research had shown they were getting some pretty uniformly horrible reviews and, clearly, no one was paying much attention to them. I’m not surprised they’re no longer in business. Though I can no longer check the reviews of our local Applebee’s – you see, they’ve closed down as well, actually before MCs did. Yelp doesn’t retain reviews after a business closes its doors. I now wish they would, if only so I could make sure my understanding of what happened is close to the truth. I’m bringing this up in large part because a friend of mine posted an interesting piece entitled “Applebee’s Review Explains Why Companies Should Care About Online Reviews” (link). I think Mark hits the head right on the nail (sic) and find myself wondering if the experiences we’re seeing with Marie Callenders and Applebee’s aren’t indicative of just how useful these growing online review services are to those of us who like to eat out. For quite some time in the enterprise world, the questions those of us advocating for greater use of social media had to answer consistently was, “What’s the ROI (Return on Investment) of using these tools? Why should we spend the money unless you can show us there’s added value in it?” Frankly, for a long time I struggled with the answer. It seemed clear to me they provided the basis for greater collaboration, easier communication, faster innovation, etc., but these things were hard to quantify in a classical sense. The answer that has stuck in my mind, though, (and I can’t recall where I heard it) is “The ROI of using social media is you’ll still be in business in five years.” I know that was somewhat glib, but I’m wondering now if Marie Callenders and Applebee’s aren’t providing us object lessons on just how prescient that statement was.